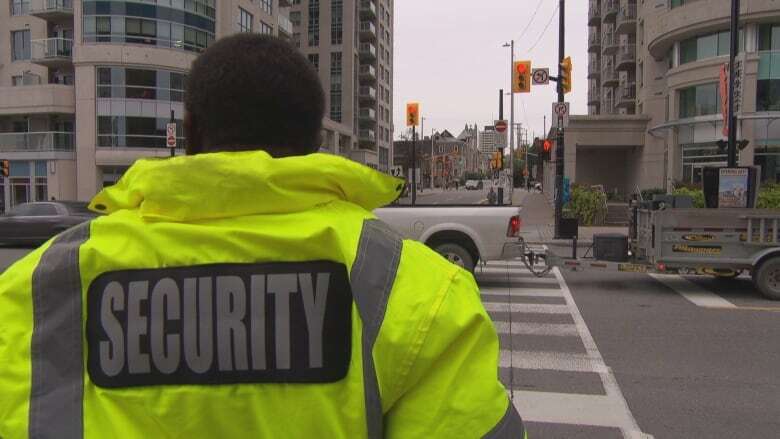 Residents of three condos and a hotel in the ByWard Market in Ottawa say people loitering, using, and dealing drugs are a problem in the area — so they've hired a private security firm to patrol the streets. Residents of three condos and a hotel near the ByWard Market say more people are loitering and using and dealing drugs in the area — so they've hired a private security firm to patrol the streets. Residents say part of the problem is the concentration of three shelters and a supervised injection site all in the same area, and they argue there aren't always enough police officers to address issues that arise. Keith Nuthall, president of the condo board at 222 Besserer St., said while residents don't say they're afraid and there have been no violent attacks, they have felt intimidated, harassed or disturbed. "We've had a few problems here with street people over the years," Nuthall said. "They're part of our community, but in the last two years in particular we've noticed there have been quite a lot of people hanging around on street corners, hanging around near the building, sometimes abusing people verbally, certainly dealing with drugs." 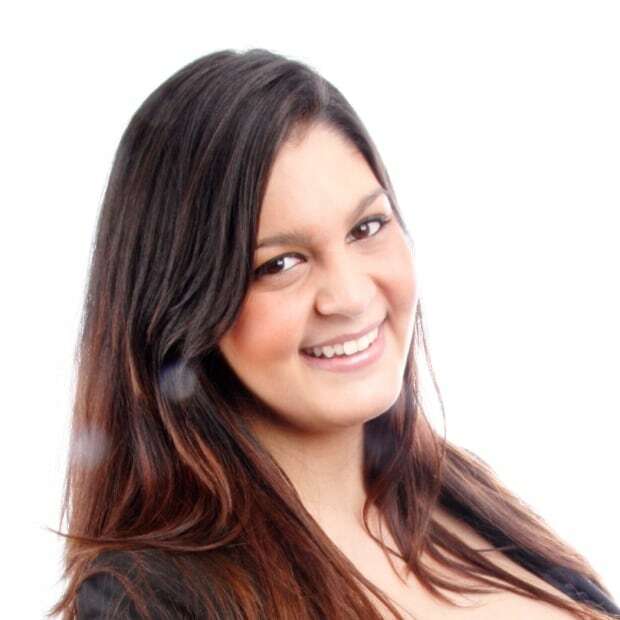 Nuthall said his board had been speaking to security firms for the last year and chose Shield Security Services, which already works in the area. His condo, he said, has had additional security in place for a month, while the two others — buildings at 200 and 238 Rideau St. — have had the extra security for six weeks. Nuthall said he hopes the security presence will encourage people to not hassle others and instead make use of nearby social services. He said he just wants everyone to get along. "They're our neighbours. The problem that we have is that there's been a balance — and the balance has tipped a little bit too far in favour of people hanging out on the street," Nutall said. Nuthall said they'll keep paying for the additional security until the winter and then assess if it was successful. 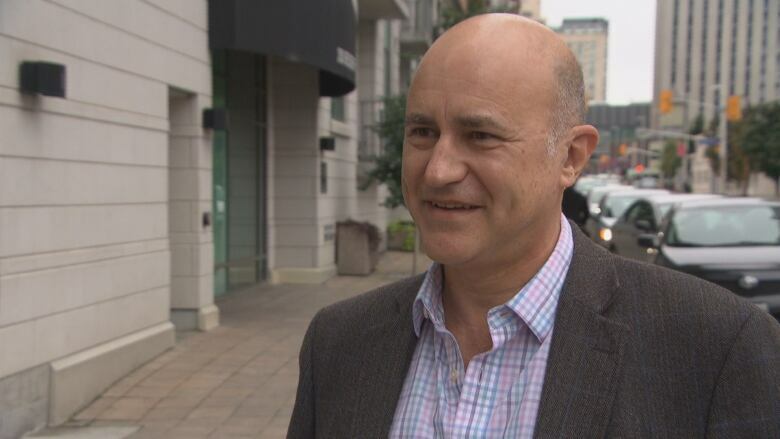 Artem Barry, manager of the Swiss Hotel, said the hotel hired additional security because it has many tourists visiting and it doesn't want their first experience in Canada's capital to be negative. 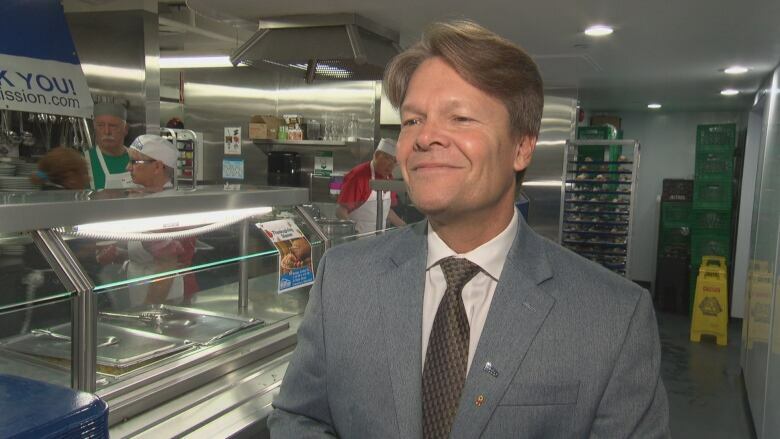 Peter Tilley, executive director of the Ottawa Mission, said while he sees people congregating down the street from the Waller Street shelter, many aren't their clients. He expressed surprise about the decision to hire private security, as the Ottawa Mission took part in community meetings this past summer and thought dialogue was going in the right direction. "I don't know that having a security firm there is going to necessarily do anything about the loitering, because then you get into a situation of who has the right to ask people to move along on a public street," Tilley said. Tilley said he hasn't heard of any vandalism, threats, or aggressive panhandling, but understands that some people may not feel safe. He said one idea pitched this summer was to put benches in a nearby park so people could gather away from the streets. "We recognize these people have issues. Many have mental health challenges. Many of them are from broken homes and in a sense have nowhere else to be," he said. "But I just wonder if there's an opportunity to offer them somewhere else to gather and congregate, and I don't know if they will be [here] once the cold winter starts. It's hard to stay on the street on the cold winter days." In a statement, Shepherds of Good Hope said the concerns raised by residents and the business in the area are not limited to the homeless population and are broad, community-wide issues that require collective efforts to address. "We actively work alongside the city, [Ottawa police], residents and businesses in the ByWard Market to develop solutions that will support many of the most vulnerable people in Ottawa," said the statement. Rideau-Vanier Coun. Mathieu Fleury said Ottawa police will have a dedicated group of 20 officers monitoring Montreal Road, Rideau Street and the ByWard Market as of January. He said it's not ideal that a private security firm had to be hired, but he did applaud the hiring of a security firm that's already familiar with the area. Fleury also said the city works closely with residents and holds regular meetings to address these kinds of concerns. The city is also trying to make the area safer with infrastructure like wider sidewalks and better sight lines on Rideau Street and new LED lights on Cumberland Street, he added. CBC also asked ByWard Market residents and workers how they felt about safety matters. "You just got to be aware," said Carla Rowan, who lives and works in the area. "That's the same anywhere in the city." Marc Neville, who's lived in the area for seven years, said he's never felt threatened — although he acknowledged he may have an easier time as a man. "I feel like safety overall is pretty good here. I mean, obviously there is a little bit of a homeless problem on a Rideau Street," he said. "However, I feel like as long as you don't engage the people, they generally don't engage you back and they're generally pretty friendly."